March 8, 2011 is the 100th anniversary of International Women’s Day is a time to reflect on progress made, to call for change and to celebrate acts of courage and determination by ordinary women who have played an extraordinary role in the history of their countries and communities. WD is a global day celebrating the economic, political and social achievements of women in the past, present and future. It is a day when women are recognised for their achievements, regardless of divisions, whether national, ethnic, linguistic, cultural, economic or political. It is an occasion for looking back on past struggles and accomplishments, and more importantly, for looking ahead to the untapped potential and opportunities that await future generations of women. I will be celebrating this powerful annual event by joining the WomenforWomen.org group walking across the Sydney Harbor Bridge in Sydney, Australia. 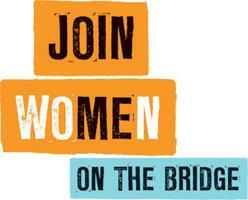 You, too, can find a group near you and cross a bridge in solidarity for ending violence against women. Last year thousands of women and joined together on 119 bridges to honor our mothers, grandmothers and great grandmothers who took such a strong stand for women’s equality 100 years ago.